How can you slow down or reverse ageing? Man has always sought ways of delaying the ageing process and extending lifespan to the maximum through the use of a wide variety of anti-aging products. With the recent discovery of telomeres and a growing understanding of anti-ageing nutrition, the elixir of life is becoming less of a fantasy. Maintaining a youthful body and optimising the fight against ageing are now achievable desires. The latest scientific studies have enabled the development of anti-ageing medicine based on diet, natural products and lifestyle. There are two key processes responsible for ageing: the shortening of DNA sequences called "telomeres", and the accumulation of cellular micro-damage which in the long-term leads to a number of health disorders such as cardiovascular disease. Recommended anti-ageing products are thus aimed at slowing down or even reversing these mechanisms. One of the best strategies is to ensure a good intake of foods rich in antioxidants, chemicals that combat the free radicals responsible for ageing. Indeed, this is the basis of the Mediterranean diet, recognised for its association with longer life expectancy, but there are many other such examples of effective and healthy anti-aging solutions. Exceptional advance in anti-aging ! Adults. Take 1 to 2 capsules a day. Each capsule contains 50 mg astragaloside IV. We do not yet have enough evidence to recommend taking Astragaloside IV and Resveratrol Synergy together, every day, for prolonged periods. At the moment, some people take Astragaloside IV in the morning (two capsules) then one capsule of Resveratrol Synergy at lunchtime and one in the evening. Others alternate the two products: one on one day, the other the next day; one, for one week, the other for the following week; or one for one month and the other for the next month. Some people take a break every month and some every three months, others do not. Choose the option that suits you best and gives you the most benefits. There have been no reports so far of intolerance to these products. AC-11® 350 mg60 Veg. Caps. AC-11® 350 mgclose60 Veg. Caps. Each capsule contains 350mg of AC-11®. Astragaloside IV 98%Exceptional advance in anti-aging ! Asc2P 250 mg60 Veg. Caps. Asc2P 250 mgclose60 Veg. Caps. Adults. Take 1 to 2 capsules a day. Each capsule contains 250mg magnesium ascorbyl phosphate. Astragalus glycerine extract in liquid form. Adults. Take 23 drops a day. Each drop contains 2.33mg glycerine liquid extract of Astragalus membranaceus. adults. Take one capsule a day or as advised by your therapist. 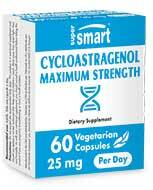 Each capsule contains 25mg cycloastragenol. Adults. Take two capsules a day. Dragonhead Extract + Natural Dopamine SupportNatural Dopamine Support 400 mg:60 Veg. Caps. Dragonhead Extract + Natural Dopamine SupportcloseNatural Dopamine Support 400 mg:60 Veg. Caps. adults. Take one or two capsule a day, preferably in the morning, or as advised by your therapist. Natural Dopamine Support 400 mg60 Veg. Caps. Natural Dopamine Support 400 mgclose60 Veg. Caps. Adults. Take one capsule with every meal. Do not take if allergic to aspirin. Stop, rewind! A world first! This NAD+ booster could truly reverse ageing! Nicotinamide Riboside 125 mg60 Veg. Caps. 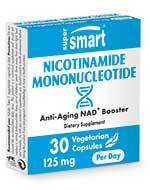 "Miracle molecule", "Incredible hidden vitamin"
Nicotinamide Riboside 125 mgclose60 Veg. Caps. Adults. 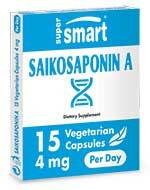 Take 2 vegetarian capsules a day. Each capsule contains 125 mg of nicotinamide riboside. Adults. Take one or two capsules a day, preferably with a meal containing a little fat. Reishi Extract 500 mg60 veg. caps. Reishi Extract 500 mgclose60 veg. caps. Adults. Take 1 capsule twice a day. Each capsule contains 500mg of reishi extract. 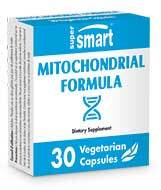 Extends lifespan by preventing shortening of telomeres. adults. Take two capsules a day, after a meal. Which anti-aging products are recognised for their efficacy? Analysis of different anti-ageing solutions has enabled certain substance to be isolated that can slow down cellular ageing. Antioxidants, found abundantly in fruit, vegetables and nuts, are without doubt the best-known. They are able to neutralise oxidants formed as part of normal cell metabolism but which are boosted by factors such as exposure to the sun, smoking and alcohol. Antioxidants include resveratrol, flavonoids and anthocyanins. An enzyme called telomerase has been making the headlines for several years now for its potential to reverse cell senescence. 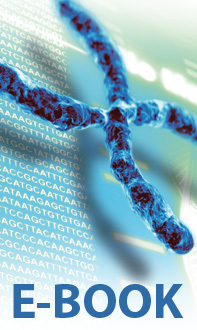 By extending the length of certain DNA sequences, telomerase may be able to induce cell and organ rejuvenation in mammals. Several studies have also demonstrated that a molecule derived from astragalus (astragaloside) reactivates telomerase in mice, lowering their biological age. This is why lobsters, which have particularly high levels of telomerase, never die of old age. Calorie restriction, whereby nutrient intake is optimised and calorie consumption limited - is a well-regarded lifestyle option for helping maintain youthfulness and preserve the skin’s natural beauty. But though it almost certainly works, is it really worth maintaining such a demanding regime throughout life? Another solution is to take anti-ageing dietary supplements that combine these various strategies. In whichever form – be it anti-ageing pills, capsules or cream, the products offered by Supersmart are innovative and exclusive. 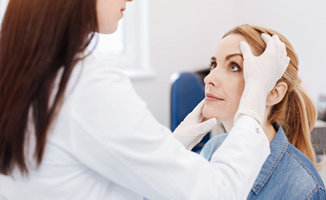 At the cutting edge of research, they incorporate all the substances with proven benefits against ageing and represent probably the best available option of fighting the ageing process – in tandem, of course, with a sensible lifestyle.